PRICE REDUCED! Located in the prestigious guard gated community of Rimrock Estates. This magnificent single-story, 3000 sq.ft. residence boasts spectacular 180-degree westerly views spanning 50+ miles across hills & valleys of N. County, all the way out to the ocean & Catalina Islands. Home offers quality custom construction, precision detail and masterful design with emphasis on views throughout. Features incl: saltwater infinity pool/spa, 3-car garage, solar, vaulted ceilings..and much more! (See SUPP.) Features (cont. 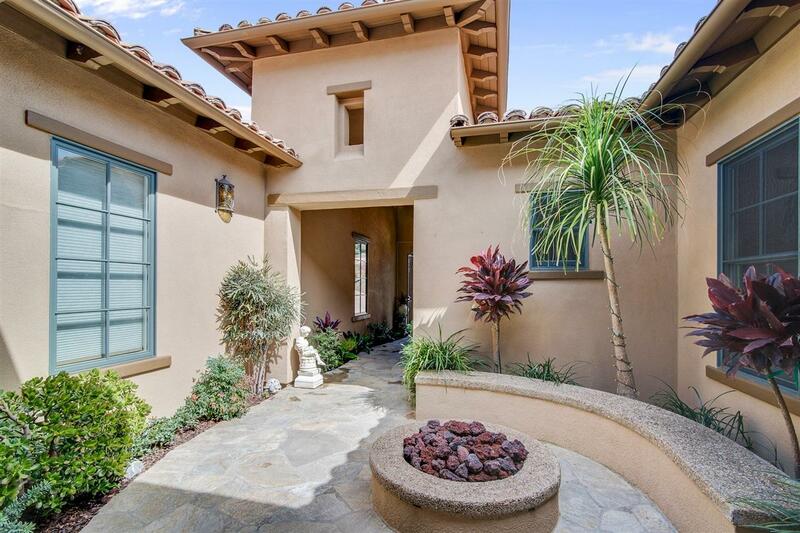 ): gated courtyard entry, open floor plan, chefs kitchen, master suite with fireplace and outdoor entertainment at its best! Exterior upgrades include a grand courtyard entry with fire pit, custom entry door, 3.3KW solar electricity system, infinity edge saltwater pool and spa with upgraded Ã¢â‚¬Å“primeraÃ¢â‚¬Â stone finish which combines the durability and natural look of a pebble pool with the smoothness of a polished surface. Additional upgrades include a built in BBQ, refrigerator, snack bar, and Ã¢â‚¬Å“PergolaÃ¢â‚¬Â covered eating area, custom outdoor hardscape walkways, stone work and landscape lighting. 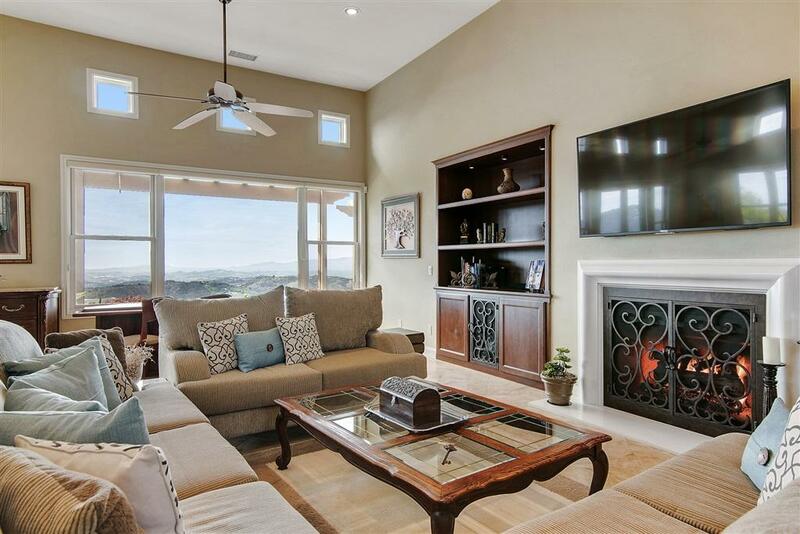 This home comes with spectacular panoramic views and breathtaking sunsets. Meticulously maintained, with true pride of ownership; features include a gourmet chef's kitchen with Thermador appliances and a 48 in. built-in refrigerator, granite counters with snack bar seating, and under cabinet lighting, vaulted ceilings, and stone tile flooring. 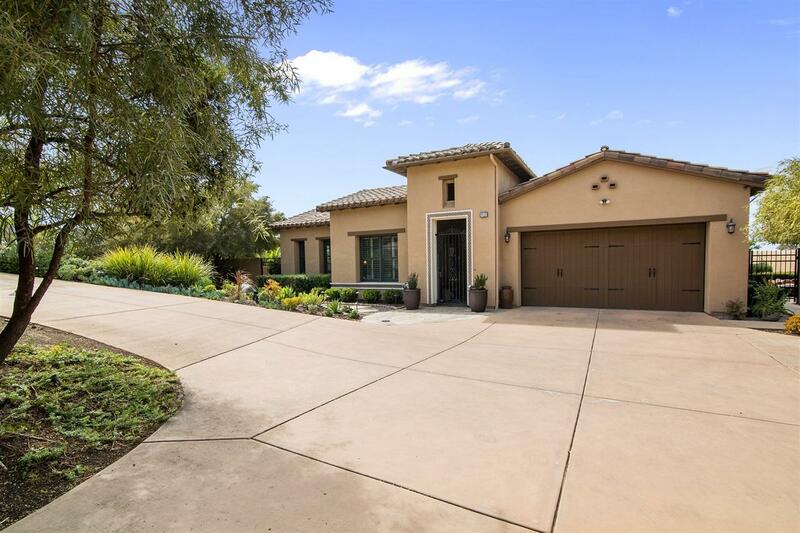 A master retreat offers a fireplace on a private wing with captivating views showcased through custom floor-to-ceiling windows, stunning master bath with dual head walk-in shower, roman tub & HUGE walk-in closet with his & her custom built-ins. Truly something special... MUST SEE to fully appreciate! Don't miss your chance on this once-in-a-lifetime property!